Batman: Arkham Asylum was likely my choice for “Game of the Year” in 2009. I loved everything about that game, and must have gotten 100+ hours out of the main storyline, the Riddler’s challenges, the combat rooms, and challenge modes. Honestly, it’s one of those games that seems like it was tailor made for my sensibilities in an action game (ha, glad you liked it though!) and I’ll continue to fire it up for years to come. So, to say that I’m excited about Batman: Arkham City is something of an understatement. Rocksteady amped up my excitement at least two-fold and made that October 18th release date feel awfully far off today, in particular, by announcing that Catwoman will be a playable character (among other potential characters?) in the game. She won’t be just a skin, nor a mere challenger within the challenge maps, but a playable character in the stories main narrative! Catwoman is my favorite DC anti-hero/villain (do yourself a favor and check out Brubaker & Cooke’s awesome run on the character) so I’m champing at the bit to play her and see what unique mechanics (beyond the fun factor) that she’ll bring to the combat, movement through the city, et al and I’m hoping she’ll be available for challenge maps, free roaming at other points in the game. 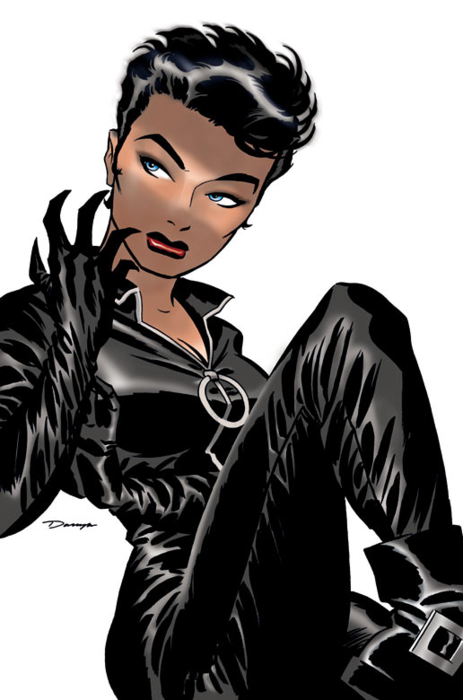 As he began to maneuver the feline fatale around the city Ginn noted that one of Rocksteady’s key priorities around the character was to think on how she would uniquely interact with the city. Obviously Catwoman is a complicated lady who’s not quite a hero but not a villain on the level of a Joker. In the end she’s pretty much out for herself and sees Arkham City as the perfect chance to do what she does best, thieve like there’s no tomorrow. The chaos of Arkham City provides her plenty of opportunities to do that, which tie into her part of the narrative which is very distinct from Batman’s. The team wanted to ensure players wouldn’t feel as though they were controlling Batman with a curvier skin. 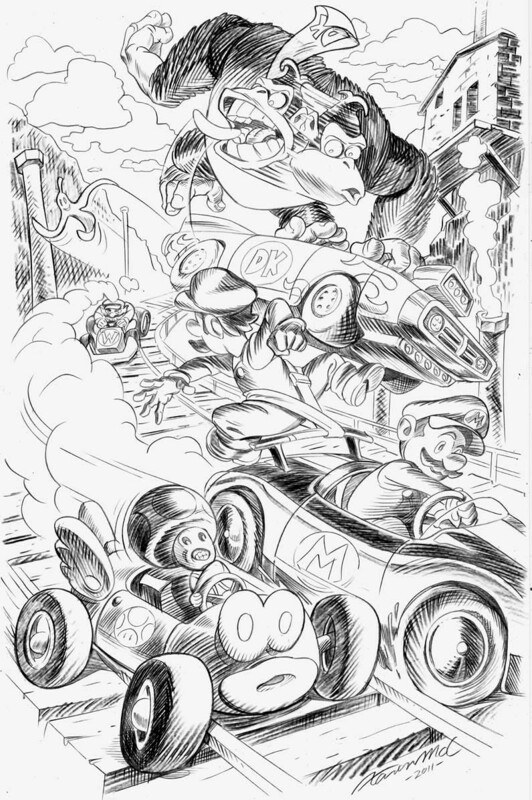 As a result you can expect decidedly different ways to get around the city, examine the environment, and fight with enemies. Since she lacks a nifty cape and grapple line, Catwoman will take a much more physical approach to getting around that relies on her trusty whip, parkour-like moves, and good old fashioned climbing and jumping. The demo highlighted the nimble and graceful way Catwoman will get around, and teased what appears to be a scoring system for how she moves around. During the demo as Catwoman picked up speed and made her way across rooftops we saw point totals appear at points during her leaping. Ginn noted the points will be awarded based on a players skill for moving through the city. Please follow the jump for the rest of the article, and be sure to check out the trailer below. 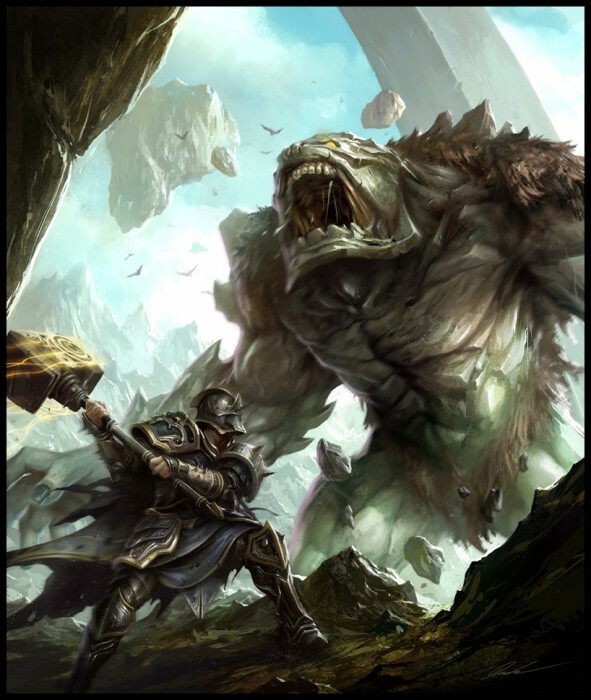 Categorized in Action/Adventure, Fighting and Misc. Wanted to make sure those of you visiting the site that might not have heard of the game yet can go and check it out. There is no official release date other than “2012” as of yet, but I’ll be sure to update the log when we get an update. 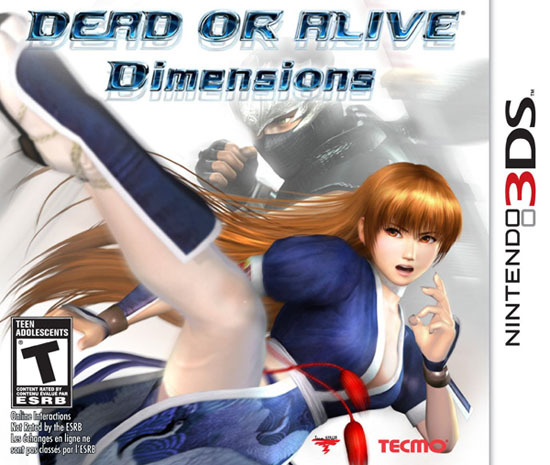 Team Ninja’s 3DS title Dead or Alive Dimensions was released in the U.S. yesterday, and thankfully my copy was waiting patiently for me when I arrived home from work. Unfortunately, it will have to be a little more patient as I don’t have the 3DS yet (2011 holiday bundles and discounts anyone?) but such is my love for the series that I wanted to pick up a launch copy and help support the success of the game (as was the case with SFIV 3D and Ghost Recon: Shadow Wars) and by all accounts I’m going to have a great DoA fighter to enjoy when I do pick up the hand-held later this year. And now that the game has been released, and gamers will have a sense of the series so far, I’d love to hear news of a Dead or Alive 5 being in development! Atlus To Bring Persona 2: Innocent Sin to the U.S. this Fall! 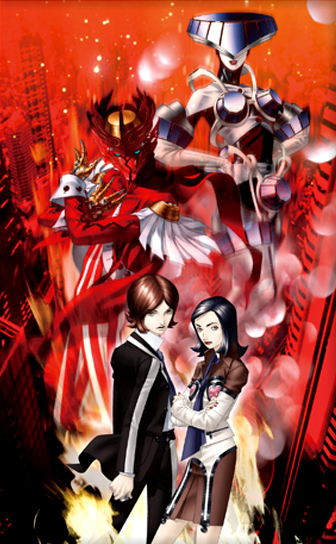 This will definitely be gaming’s biggest news bite today, but I’ve been waiting for the U.S. release of Persona 2: Innocent Sin for so long that I can’t help but share it as well. This was just about the first thing I woke up to as I checked my e-mail at about 6:00 this morning and it definitely got me moving a little faster than I otherwise might. The only Persona game never officially released out of Japan is finally coming to North America, and it’s making the trip with a huge list of enhancements and additions. Are you ready to finally discover this lost chapter in the Persona series? Ha, that definitely brightened my day! Love this game, though it’s more than a challenge…to say the least. And speaking of Fire Emblem, please do yourself a favor and play the U.S. releases on the GBA, Wii and DS if you can get your hands on a copies — they’re amazing titles and highly underrated with Western audiences. This is one of Japan’s most long-lived and beloved franchises for a good reason folks! Heck, they made a live action production of the theme song to advertise it! 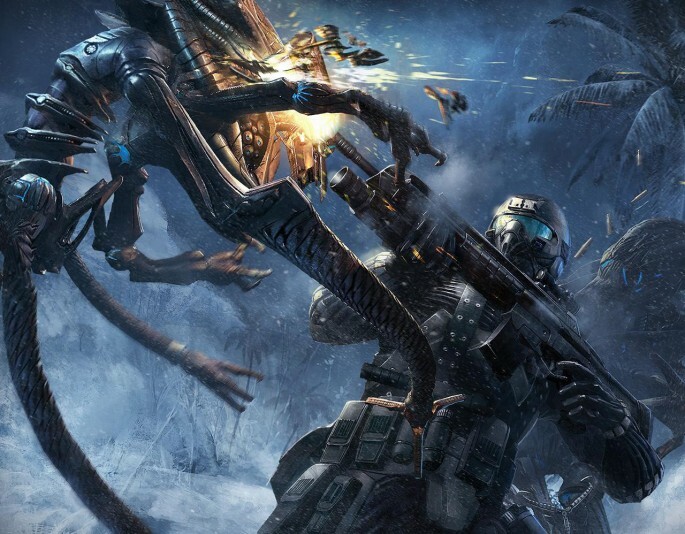 I’ve been champing at the bit to play Crysis 2 since it launched as I really want to check out what the hub-bub is about, the new cover system and the different forms of tactical gameplay options throughout the levels that, hopefully, will make this a lot more fun than the all too common run ‘n gun shooter. But I wanted to hold off for a price drop (which is pretty much the norm for me with PS3 and 360 titles) and thanks to Amazon’s Deal of the Day fans that had a similar mindset can pick up the game cross-platform for $34.99 (42% off) today. 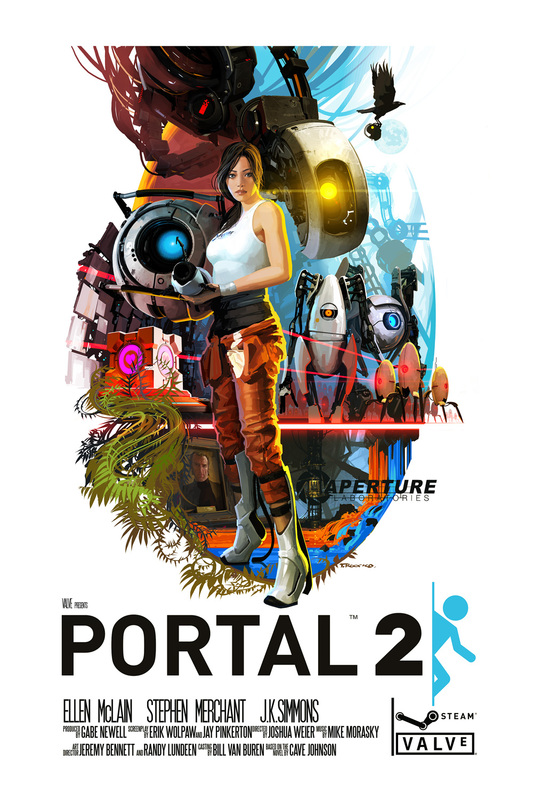 [Awesome] Portal 2 Movie Poster by Tristan Reidford. After a 10-day trip to Japan and a couple of intense papers prior to finals I can report that I’m glad to be back and that I’m looking forward to a break and the chance to spend more time with my wife and these games (sometimes at the same time if her experience with Enslaved is any indication). April was a productive month in terms of the games that I picked up (though just wait until you see what May brought with my trip to Japan). As always, I rarely paid full price for anything listed and I will note any extraordinary deals, because having patience and tracking down these deals is a sizable part of the fun in collecting. 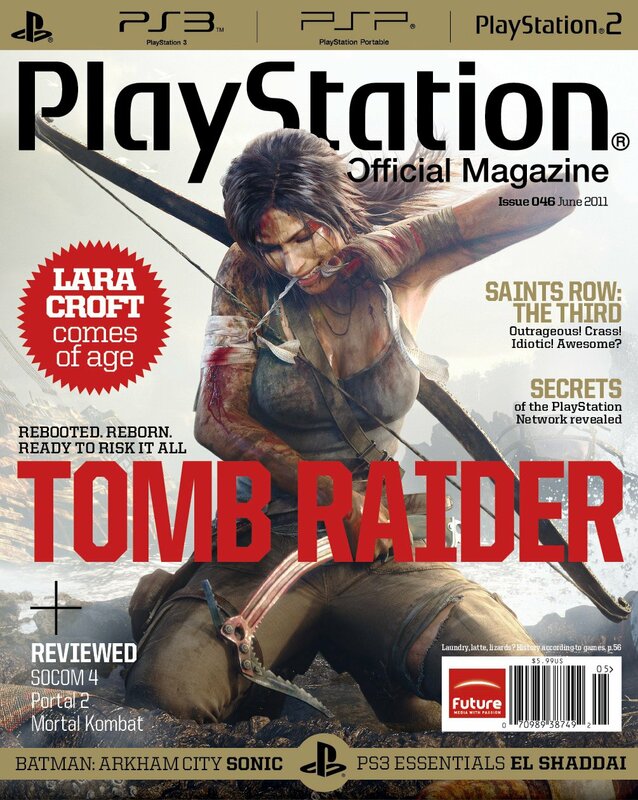 Tomb Raider will be the cover story for June’s edition of Playstation Magazine, and what a cover it is!